The Fishing Rod Retainer is an innovative caddy designed to store, carry, hold, display, and protect multiple fishing rods without tangling fishing lines while averting injuries. The FRR is perfect for storing your fishing rods in the garage or shed. 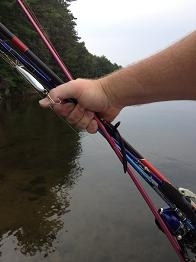 When it's time for fishing at your favorite fishing spot whether that spot is on a dock, in a boat, or on shore, all you need to do is pick up your FRR in one hand using the built-in handle and carry up to 9 fishing rods tangle free to your fishing hole. 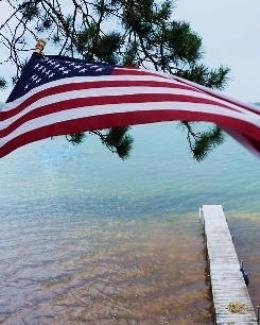 Originally designed to slide over any standard size dock post, the FRR's innovative design also makes it ideal to use on a shoreline or a boat. 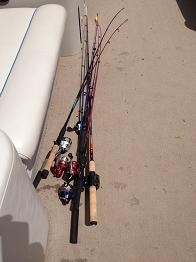 Once you arrive at your spot, set the FRR down and select which rod you want to use. 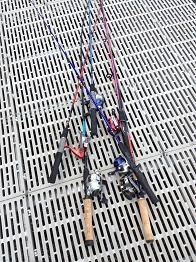 While the other fishing rods stay safely out of the way preventing damage to your fishing equipment and averting injuries by not stepping on hooks and lures. The FRR saves time and soothes frustrations that often accompany tangled fishing lines, thus making your fishing excursion that much more enjoyable. 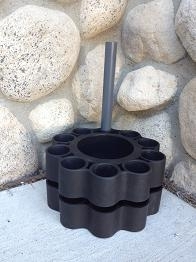 Store – The FRR is perfect for storing your rods and reels conveniently and efficiently. The design of the FRR utilizes and maximizes space. Too many anglers jam their rods in a corner. 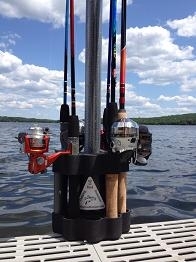 Carry – Using the FRR to move your rods and reels from one spot to another is very easy. Carry up to nine rods in one hand with the built-in handle while maintaining tangle free lines, leaving your other hand free to carry other gear. 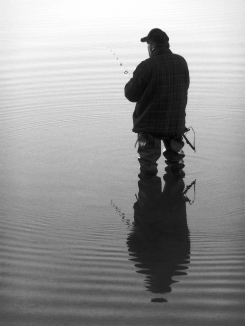 Hold – Once you’ve carried your rods to your favorite fishing spot from your rod storage area, it’s time to fish! 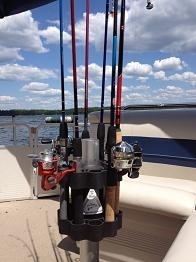 Set your FRR on a dock pole, a boat seat post, or any other surface, select your rod of choice while the other rods stay safely out of the way. Display –When a day of fishing or the fishing season sadly comes to an end… Why not display your favorite rods and reels in your family room, den, or game room? 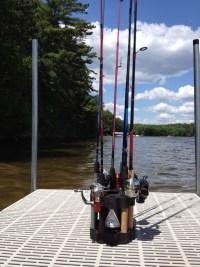 Protect - When it comes to taking care of your expensive fishing equipment the FRR is the perfect product. 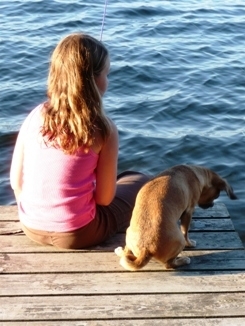 Avoid kids and animals from damaging your equipment and tangling lines. The FRR will also help avert injuries to the kids and pets. "This will work great on the boat. 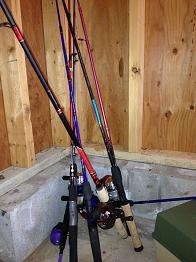 It will hold my taller rods that don't fit in the storage area. It will slide right over a seat post." "Great product! All my poles were clumped together not looking good. 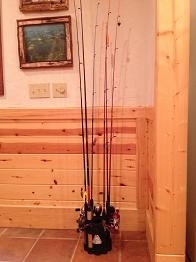 The Fishing Rod Retainer keeps my poles from getting damaged, and displays my rods and reels quite nice." "I will need a couple of these. 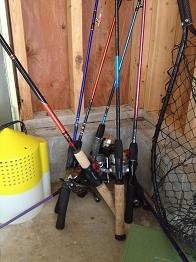 I have several poles just bundled up in the garage. 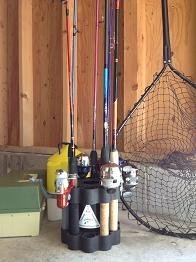 I like to keep many poles ready depending on what species of fish I will be fishing for on the next trip." Thank you for visiting our site. 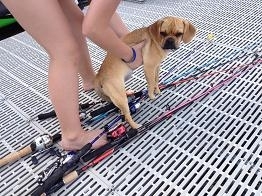 Happy fishing!!! Copyright © 2012-2019 Fishing Rod Retainer. All rights reserved.